https://Lyman Products Corporation is one of the oldest and most respected companies in the United States (if not the world) when it comes to supplies and accessories for hunters, shooters, and reloaders. Their expertise and their quality have been hallmarks of the shooting sports industry for longer than I can remember. Recently, my work had me assigned to a pair of projects in the mid-Connecticut area so, realizing that Lyman Products Corporation calls Connecticut home, I was able to arrange to visit their factory and warehouse in Middletown, Connecticut, to provide our readers with an inside look at what goes on behind the scenes at this venerable company. My host and guide was Elizabeth Friedmann, Lyman’s Marketing Manager. The proud tradition and history of Lyman Products began simply in the late 1800’s when William Lyman, an avid outdoorsman and inventor, created a product that resolved problems with gun sights of his day. The commonly used vernier sights were adequate for daytime shooting, but almost useless if lighting was not perfect. Lyman’s No. 1 Tang Sight featured a small disc and a large aperture, a combination that made the thin rim almost invisible and greatly improved the shooter’s vision. His patented design launched the Lyman Gun Sight Company, and today, the Lyman tang and receiver sights still utilize the same principles originated over 137 years ago to enhance both the sight picture and the speed of aiming. 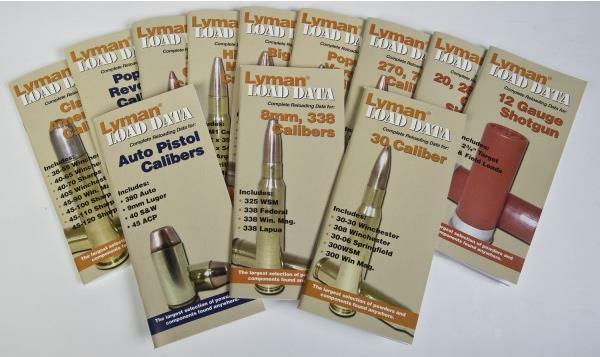 Through the years, Lyman has continued to develop innovative products for shooters and reloaders, carrying on the legacy of William Lyman. In 1925, the Lyman family purchased Ideal reloading products, which included the well-known Ideal reloading handbooks. Since then, Lyman handbooks have become known as the “bible” of reloading, and are considered the most trusted source for data. 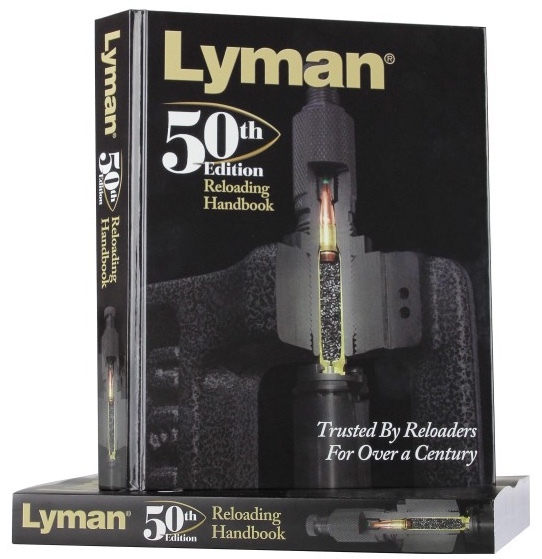 Continuing that proud tradition, Lyman released its 50th Edition Reloading Handbook in 2016, containing new and modern reloading data to service current and future reloaders, and continuing to be the most respected and sought out source of expertise. 1879! That makes Lyman 138 years old in 2017. Other than a few firearms manufacturers such as Colt and Smith & Wesson, I can’t think of many companies associated with the shooting sports that go back nearly that far in history. 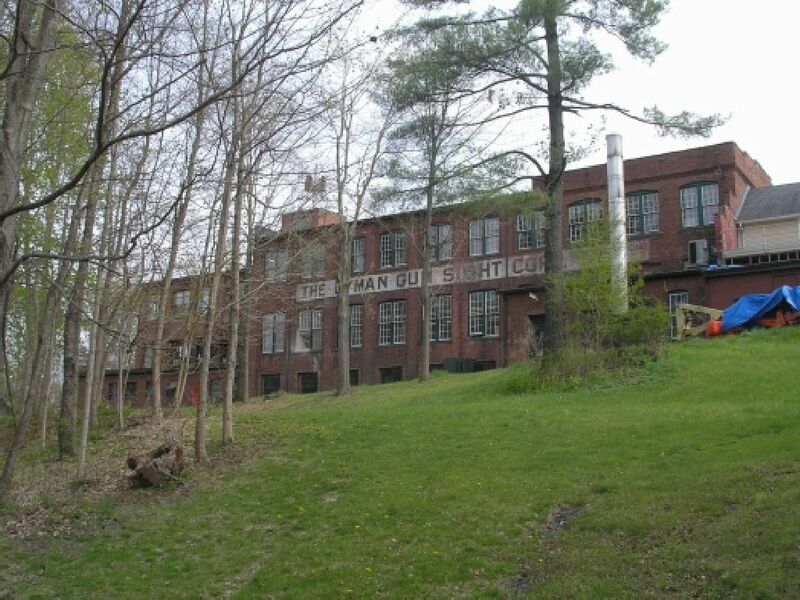 Lyman Products Corporation for 138 years has remained in their quiet, suburban part of Connecticut and continued to do their thing. In their 138 years of doing business, the company has seen one major move; in 1994 they relocated from their original factory (which had been enlarged a number of times) in Middlefield, Connecticut, a few miles north, to neighboring Middletown. John Barlow sold his reloading tool business, the Ideal Manufacturing Company [located in New Haven, Connecticut – ed. ], to the Marlin Firearms Company in 1910. In the press of WWI contracts, Marlin sold Ideal to Phineas Talcott in 1915. Talcott held onto the company for ten years or so without doing much with it and finally the Lyman Gun Sight Company bought Ideal from Talcott in 1925. The switchover was announced in the Ideal Handbook #27 of that year. The name "Ideal" persisted on the moulds, loading tools, handbooks and advertisements until the early 1960's. After that, "Lyman" was the name on the books, moulds and tools, as well as the gun sights. In 1970, Lyman was purchased by the Leisure Group, which owned various other outdoor companies such as High Standard Firearms, Ben Pearson Archery and Sierra Bullets, among others. On the eve of Lyman’s 100th anniversary in 1978, James F. “Mace” Thompson brought the company under private ownership again, ushering in an era of company growth and continued product development. Today’s Lyman Products Corporation offers products for reloading, bullet casting, gun care, accessories, tactical accessories, shooting and practice gear, and even (in association with Pedersoli) firearms. To my amazement, the Lyman website includes a Sharps pattern rifle, as well as a series of muzzle-loading rifles and pistols. The headquarters facility is both modern and modest, as befits its New England location and heritage. The current location is a one-story industrial building situated on a street corner in a commerce park just a stone’s throw from Interstate 91, midway between New Haven and Hartford. Although I should know better, I have to admit that the appearance of the building fooled me. As Liz led me through the production side of the building and then back to the front through the warehouse and shipping area, I was more than a little surprised at how large the building actually is. It just didn’t look that big from the street. In fact, the Middletown facility covers 100,000 square feet of floor space. Together with another 6,000 at the Pachmayr facility in Arizona, the Lyman Products operation encompasses 106.000 square feet (two and a half acres). Unsurprisingly, the front portion of the building houses the executive offices. From there, moving toward the rear on what would be the right side of the building when viewed from the street are the production areas. At the rear we found that Lyman has their own shooting range, for testing, and a small but well laid out photo studio for their catalogs and advertising. The left side of the building houses the warehouse and shipping areas. The production areas naturally include a number of modern CNC machining centers, providing testimony that Lyman is staying abreast of technology. Being an old-fashioned sort of guy, though, I was pleased to see that they also still have a number of traditional machines such as lathes. Precision machinists seem to be a vanishing breed in today’s society, so it was a relief to see that there is still a place for the trade in this corner of New England. Despite their diversification, Lyman Products has not forgotten or strayed from its core business. They still make the Lyman peep sight that started the company, and Liz told me that their primary focus remains reloading, and muzzleloading firearms and components. The Lyman name is inextricably associated with their famous reloading manual—and with good reason. I have had a Lyman reloading manual for a number of years; it was the first one I bought when I began reloading. I have others, some from powder manufacturers and some from bullet manufacturers. All of the others are very limited in the range of components they cover. (After all, should we expect Winchester to publish data for Alliant powders, or Speer to publish data for Hornady bullets?) Lyman’s manual includes a broad range of data covering components from many different manufacturers. Lyman works up and tests the loads in their manual right in the headquarters building, and they test the loads in their on-site range. Pressure data is from their own testing, for which they use a pressure barrel. Lyman’s pressure data aren’t guesses or calculations, they are actual tested results. The current edition is the 50th, and Liz told me they are now compiling new data for the next edition. Lyman doesn’t sell bullets, but they do make everything reloaders need to cast their own bullets. They have a huge variety of bullet molds, along with furnaces and accessories for melting and handling the lead. I don't cast my own bullets, but I know a number of people who do cast, and they all own several Lyman bullet molds. Whatever caliber, weight, and bullet shape you're looking for, Lyman probably has a mold for it. They also make case cleaning equipment. Their lineup includes vibratory tumblers, ultrasonic cleaners, and last year they introduced a new rotary tumbler, which works with stainless steel pin media. Yes, Lyman also sells the stainless steel pins. Whatever your preference, Lyman seems to have a product to fill the need. I learned that Lyman offers a wide variety of powder measures and scales, including a mechanical powder measure for smokeless propellants and another for black powder. They offer two different beam balance scales, and six different digital powder scales, ranging from a pocket model with an MSRP of $29.95 up to the GEN5™ Digital Powder System (MSRP $379.95). It almost goes without saying (so I’ll say it anyway) that Lyman offers reloading dies. I have some Lyman dies the box for which says they were made in Middlefield, Connecticut—making those dies at least 23 years old. They’re still going strong today. 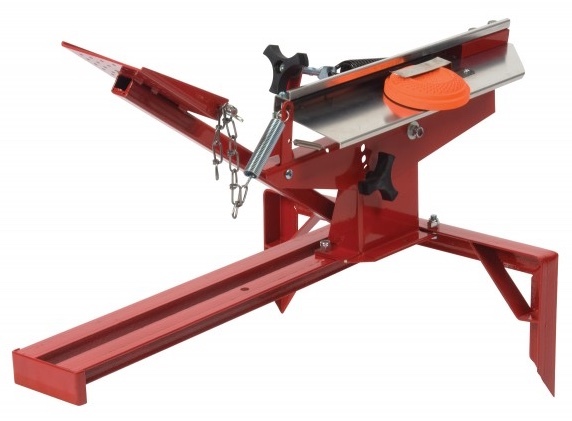 Lyman also offers case trimmers and reloading presses, including the single stage Crusher II and the Crusher T Mag II turret press. Looking beyond the core reloading equipment we found that Lyman includes, either under the Lyman name or under other brand names, a number of more or less essential bits of kit for serious shooters. As one example, A-Zoom snap caps are a Lyman brand and product, and I saw A-zoom snap caps being made right there in Middletown, Connecticut. I was somewhat surpsied to learn that the A-Zoom snap caps are fully machined, not cast. Although I have owned and used A-Zoom snap caps for many years, I had never thought about how they are made. If I had been asked, I would have guessed they were cast. Live and learn! Under the TacStar® brand, Lyman has a variety of accessories for centerfire tactical type rifles and shotguns. This line includes magazine extensions, “side saddle” shell carriers for shotguns, shotgun grips and forends, and tactical grips and accessories for the AR-15 platform. The TacStar® line includes the ADTAC tactical replacement stock for the Ruger 10-22 rifle. A very neat feature of this stock is that it has a reversible Picatinny rail concealed in the forend. When installed with the Picatinny rail up inside the forend, the outside surface blends in with and matches the rest of the stock. With it reversed, the Picatinny rail is exposed and a bi-pod or other accessories can be attached. Shotgunners might be interested in the Trius® line of clay pigeon throwers. This line includes three products: the Birdshooter 2, the 925 Trius Trap, and the top of the line Trius 1-Step. Unfortunately, not being a shotgunner, I’m not even remotely qualified to comment on these products but, if you’re looking for a way to launch clay pigeons, we encourage you to check them out. Lyman offers a line of gun cleaning products, but the one that was of the most interest to me is Butch’s Bore Shine. This is a non-abrasive compound that removes carbon, lead and copper fouling without removing metal from the lands and grooves. I have a couple of Sistema 1927 clones of the M1911A1 that have seen better days, I think I may see if Butch’s Bore Shine can put some shine back in their much-abused bores. We can’t leave Lyman without discussing the Pachmayr brand. At least to 1911 aficionados, Pachmayr is probably best known for their line of 1911 grips, but that’s not all they offer. Pachmayr, among other products, offers a line of gunsmithing tools including several different punch sets, a high-quality gunsmith screwdriver set, and a master kit of plug screws for filling tapped holes where sight bases have been removed or relocated. The Pachmayr line also includes recoil pads for rifles and shotguns. The best known of Pachmayr grips for 1911s are probably their Signature grips. These are so ubiquitous that an Argentinean Sistema 1927 I bought several years ago came with a set of Pachmayr Signature look-alikes that were made in Argentina. My favorite in the Pachmayr line are the American Legend grips, which combine rubber for cushioning and grip with the look of genuine wood for aesthetics. My only complaint about the American Legend grips is that they aren’t available for the Officers ACP/Defender size pistols. Lastly, I was surprised to learn that Pachmayr offers a replacement follower for 1911 single stack magazines. It's a stamped steel 7-round follower that us an arched top surface rather than the Browning-designed flat surface with the dimple (or pimple). On the web site, Lyman/Pachmary describes it as follows: "Designed to improve the way 1911-type magazines handle a variety of ammunition types. Fits all 1911 Types." Liz kindly arranged to send us one of the MAG-F-45ACP followers, which we tested with a variety of ammunition ranging from commercial ball to handloads to different brands of JHP. All fed with no hiccups. However, we can't honestly say the Pachmayr follower "improved" feeding, simply because I don't have access to any pistols that are finicky about ammunition. Looking at the design of the Pachmayr follower, the sides are straight, along the same angle as the Browning GI follower. Inside where the edges engage the feed lips, the center portion of the follower is rounded up in a gentle arch. At a guess, what this design may do is slightly raise the feed angle to enhance chambering. But that's a guess. If you have a magazine that doesn't like some types of ammunition, this might be worth a try. The price is competitive with replacement followers from other sources, and a lot less than something like the Tripp Research magazine upgrade kit. And the Pachmayr round-top follower works with a conventional GI magazine spring. My tour of the Lyman facility ended by wending our way from the back of the building toward the front through the vast warehouse side of the structure, where I saw rack after rack of product awaiting shipment. Everything was neat, organized, and labeled … my late wife would have approved. We ended up back in the administrative office area, where Liz gave me a copy of the current Lyman catalog and we said our goodbyes. On behalf of the M1911 Pistols Organization, I would like to extend our gratitude to Liz Friedmann and the management at Lyman Products for allowing us to visit their facility. You can discuss this article in this thread in our Forums Site. All times are GMT -4. The time now is 04:45.